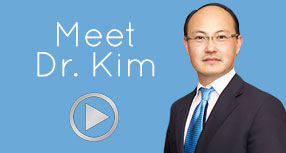 Bellava MedSpa & Plastic Surgery Center in Westchester specializes in the Gummy Bear breast implant procedure. Gummy Bear Implants are a 5th generation silicone style breast implants and have many advantages over traditional silicone and saline style breast implants. They are the very latest and most exciting innovation in breast implant surgery since the inception of breast implants decades ago. Gummy Bear Implants are a single form, flexible, and cohesive breast implant that have a most natural look and feel over other breast implants. They can be used for breast enlargement and even breast reconstructions. If you are interested in Gummy Bear Breast Implants in Westchester and want to know more or see if they are right for you, then you should contact plastic surgeon Dr. James Lyons at Bellava MedSpa & Plastic Surgery Center in Westchester. Dr. Lyons has performed thousands of breast procedures with satisfactory results and many happy patients. Dr. Lyons is a trusted and seasoned expert when it comes to making over a woman’s body. Contact Bellava MedSpa & Plastic Surgery Center in Westchester today to find out more about Gummy Bear breast implants and schedule a free consultation today and find out if the Gummy Bear Implants may be right for you. One of the most exciting thing about Gummy Bear breast implants is that they come in a variety of different shapes and sizes. Unlike other saline or silicone breast implants which rely solely on the body of the patient and the skin to keep and hold the shape of the breast, Gummy Bear Implants are made of a cohesive MemoryGel that keeps its shape even after touch. And the shapes that the Gummy Bear breast implant range from a low profile to moderate and even high profile shape. There is also the option in choosing whether you want a textured or smooth shape and unlike traditional silicone implants, you can custom fit any design or shape to fit your body for the most natural look. Some of the benefits of Gummy Bear style implants are that there are fewer complications due to the cohesive and single form design. There is no breakage, rupturing, or leaking that can happen with traditional silicone or saline filled implants and because of their design, Gummy Bear implants are cost effective because of longevity. Gummy Bear Implants are FDA approved. Contact Bellava MedSpa & Plastic Surgery Center in Westchester today for a free consultation to find out if Gummy Bear breast implants are right for you. 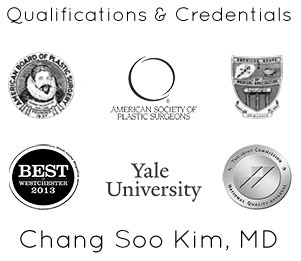 Our facility is like no other Plastic Surgery Center you will find in Westchester and we have the very latest in state-of-the-art technology and we provide a high class experience that is enjoyable and relaxing and will help you get the results that you desire. We also have a medspa facility which is warm and inviting and your treatment and care will be first rate. Don’t trust your body to just anyone, talk to the experts at Bellava MedSpa & Plastic Surgery Center in Westchester and see how we can help you reclaim your beauty and confidence.